As we previously reported, last night (November 27, 2014) Neil Thomas were honored RDI for excellence and innovation in sustainable building design and applying his ingenuity as a structural engineer to create ground-breaking public art. And because Art is an important part of everyone's life, as a source of beauty and inspiration, we will tell you more about Thomas's work. 'George Bernard Shaw said 'There are those who look at things the way they are and ask why? I dream of things that never were and ask why not?'. Ted Happold, Ian Liddell, Anthony Hunt, Frank Newby, and Peter Rice are all engineers with whom I have worked and, to all of whom, this statement applies. To ask why not is so much more exciting. I am extremely honoured to have been appointed Royal Designer for Industry by the RSA, and I would like to express my sincere gratitude to a much respected and admired organisation for the recognition of my work as a structural engineer'. His portfolio demonstrates sustained excellence throughout his career of 33 years and exemplary design in many different media. 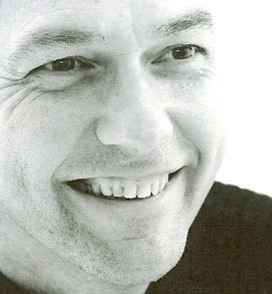 Consistently innovating, Neil has inspired, trained and led the way for a new generation of young designers. He is widely respected within the profession for his contribution to the delivery of major pieces of public contemporary art and sculpture as well as to the global music and theatrical spectacles, from the 2012 London Olympics to stadium rock 'n' roll. He has followed a rather unusual path, training as a structural engineer and taking in work on buildings, sculpture, set design and education. In each of these areas he has enabled and enhanced the visions of his collaborators through his grasp of what is physically possible and his great skill as a visual communicator. He is very hands-on and has deliberately kept his studio, Atelier One, to less than 20 people for many years. As a result he has been involved with the vast majority of the projects that studio has worked on. From the very early days of Atelier One, Neil has been prepared to take on public art and art projects for little or no fee or financial gain. His stance has always been that art is a necessary part of life and can create enduring and important contributions to public realm. He also does it with joy and enthusiasm and a strong sense of engagement with both artist and place. Art is a great regenerator and large spaces very often need large pieces to have impact. This frequently moves artists out of the realms of scale that they are comfortable with and they need to collaborate with people like Neil who understand forces, materials, bending and strength in such a way that he can contribute to delivery of the aesthetic objectives. The contribution of Neil's structures to urban regeneration, whether in a park in Hackney, a disused flour mill in Gateshead or the seafront in Blackpool is very significant. Structures at this scale provoke a sense of wonder in the viewer and enrich their experience of the public realm. In 1990 he paused from structural engineering to inspire and initiate the formation of Atelier Ten with Patrick Bellew RDI, the environmental and sustainability consultancy that has gone on to become a global leader in green design. Neil has worked in teaching for most of his career to share his skills, enthusiasm and passion for design with future designers. He is a regular contributor to lecture events and conferences in many parts of the world, most recently a keynote presentation at the Turkish Green Building Council Conference in Istanbul. Many of the processes that he has used in delivering some of the more unusual projects have been innovative and ground-breaking. Examples would include the use of sprayed concrete in the construction of Rachel Whiteread's House, the integration of high-pressure inflatable structures into the cyclorama of Pink Floyd's Division Bell touring stage and the evolution of Fireman's ladder technology for the Rolling Stones Bridges to Babylon tour. His work represents a unique portfolio based around collaboration and keen understanding of aesthetic value in design, even if it does often serve to render Neil's contribution somewhat invisible from the architecture or sculpture where the credit is all too often uniquely given to the architect or sculptor. There are probably only one or two structural engineers in the world who could demonstrate the range and dexterity of Neil's portfolio.